Welcome our new Australian sponsor: Popcultcha SupaStore! 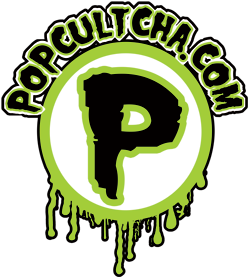 AFB is proud to welcome Popcultcha SupaStore as a new sponsor! I love the global aspect of our collecting community, but having made Australia my home means I have special place in my heart for the Land Down Under, and this new AFB sponsor announcement is something special for AFB’s Aussie readers and our New Zealand friends. www.popcultcha.com is Australia's largest on-line Action Figure and Collectables store servicing the Australian and New Zealand territories. If you’re a fan of products from Hot Toys, Sideshow, NECA, McFarlane, Square Enix, Mezco, Funko, KidRobot and many, many more, Popcultcha has your number! I discovered Popcultcha earlier this year when I was trying to hunt down a local source for the Sideshow Silver Surfer Comiquette. It’s a piece I’ve really coveted, but it also comes in a box big enough to house the average family, so there is no way I’d entertain trying to pay international shipping for it! I found it on the Popcultcha website, AND discovered something just as exciting, and that’s Popcultcha’s shipping policy. 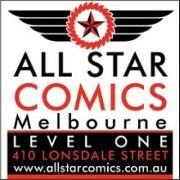 Popcultcha’s on-line store services Australia with free shipping on all orders over $100 and a capped flat shipping fee of $6 for all orders under $100. Needless to say, I placed my order! I’m lucky to live a pleasant drive away from Popcultcha’s shopfront in Geelong, Victoria, and so I decided that I needed to pick up my Silver Surfer in person just to see the place, and I am so glad I visited. I’ve never seen more Sideshow and Hot Toys pieces on display in once place in Australia! It really is an amazing place if you ever get the chance to visit. It’s great to be in a position to add sponsors to the site, but I am only interested in supporting retailers that I have had positive personal experience with. Since purchasing my Silver Surfer, Popcultcha has been helping me develop the beginnings of my Hot Toys collection without breaking the bank. The opportunity to not only avoid international shipping costs, but receive free shipping on these items (any order over $100) means that I’ve come out well ahead of what I would through an overseas purchase. If you live in Australia or New Zealand and collect anything from the list above, you need to have a look at Popcultcha’s online store. You can also follow their news feed at their Facebook page. I’ll also be bringing you occasional updates of new products in stock at Popcultcha. Here’s their latest Hot Toys arrivals! Please give Popcultcha a hearty AFB welcome!